The easiest way to plot ETG-4000 data in R is by using plot_ETG4000() from fnirsr package. However, if you want to explore your data in more detail, then an interactive plot is more appropriate. I used dygraphs package to create the chart below. In case of using many channels, the colours in the legend can get a bit mixed up like in my example. I haven’t figured out yet how to add a custom colour palette that could deal with multiple channels. One way or another, this code snippet should be enough to start generating interactive charts. I haven’t added the interactive chart to the main plotting function (i.e. plot_ETG4000) but I might do it in future releases. 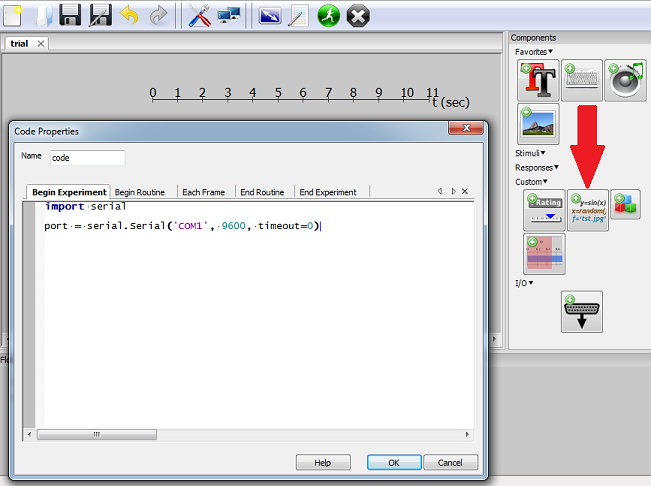 PS: The dygraph generated correctly in the interactive window, when using R notebooks, and when knitting. When I Saved as Web Page from RStudio, I got a header error that I had to clean by removing a tag (<!DOCTYPE html>) from the generated html file. For more details and the latest updates see the project’s GitHub page. More information about R Notebooks can be found in the RStudio’s blog post. In the process of designing my latest experiment in PsychoPy I realised that setting up the serial port connection is not the most obvious thing to do. I wrote this tutorial so that others (and future me) won’t have to waste time reinventing the wheel. To better understand the arguments of the serial.Serial class please consult the pySerial documentation. The easiest way for me to test whether I was sending correct signals was to use the Communication Test in the External tab (see the second screenshot). 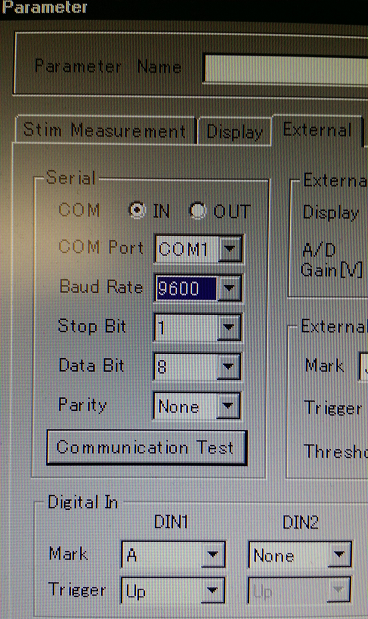 Once the test is started, you can run the Python script to test whether the serial signals are coming through. The next step is adding the triggers for the beginning, each stimulus/block, and the end of recording. 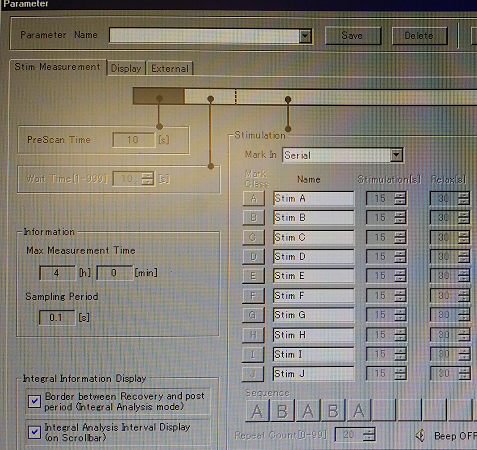 Here is an example of an experiment using serial port triggers to delimit blocks of stimuli and individual stimuli. Due to the sampling rate, I had to add delay between the triggers delimiting the blocks, otherwise they would not be captured accurately. The triggers for block sections had to be send consecutively because the triggers cannot be interspersed (not sure if that’s because of my settings). For instance, AABBAA is fine, but ABABAB is not. 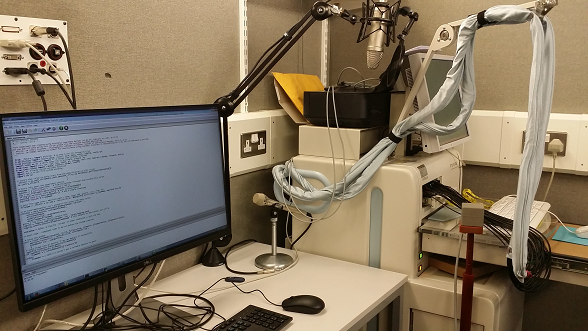 As I mentioned in my previous post, I am trying to get my head around analysing fNIRS data collected using Hitachi ETG-4000. The output of a recording session with ETG-4000 can be saved as a raw csv file (see the example). This file seems to be pretty straightforward to parse: the top section is a header, and raw data starts at line 41. I created a set of basic R functions that can deal with the initial stages of the analysis and I wrapped them in an R-package. It is still a very early alpha (or rather pre-alpha), as the documentation is still sparse and no unit tests were made. I only have several raw csv files and they seemed to work fine with my functions but I’m not sure how robust they are. Anyway, I think it will be useful to release it even in the early stage and work on the functions as time goes by. A vignette (Rmd) is here. I couldn’t find any other R packages that would deal with these files so feel free to contact me if you work(ed) on something similar. Pull requests are encouraged. 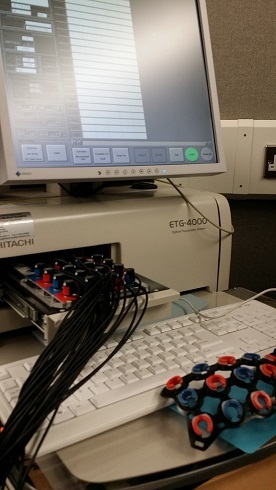 Recently I started to learn how to use Hitachi ETG-4000 functional near-infrared spectroscopy (fNIRS) for my research. 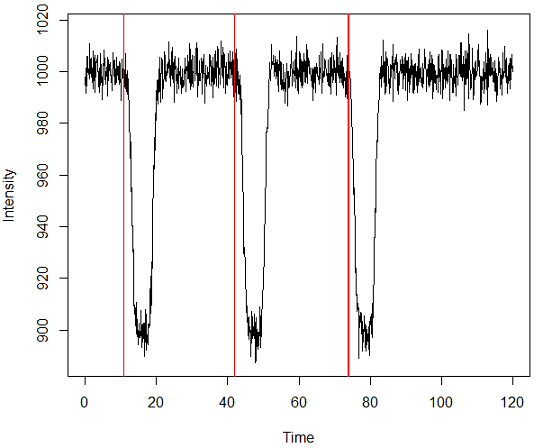 Very quickly I found out that, as usual in neuroscience, the main data analysis packages are written in MATLAB. I couldn’t find any script to analyse fNIRS data in R so I decided to write it myself. Apparently there are some Python options, like MNE or NinPy so I will look into them in future. 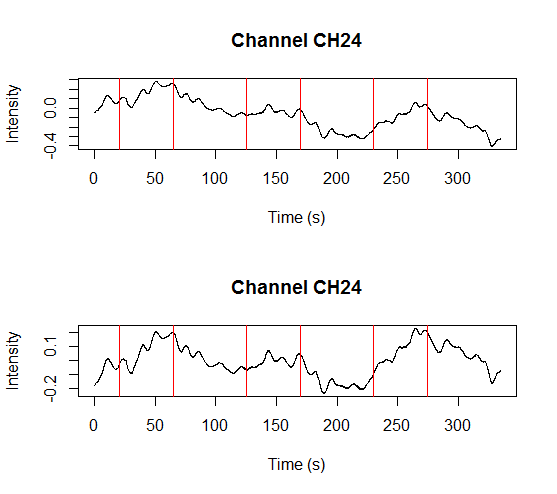 ETG-4000 records data in a straightforward(ish) .csv files but the most popular MATLAB package for fNIRS data analysis (HOMER2) expects .nirs files. There is a ready-made MATLAB script that transforms Hitachi data into the nirs format but it’s only available in MATLAB. I will skip the transformation step for now, and will work only with a .nirs file. The file I used (Simple_Probe.nirs) comes from the HOMER2 package. It is freely available in the package, but I uploaded it here to make the analysis easier to reproduce.